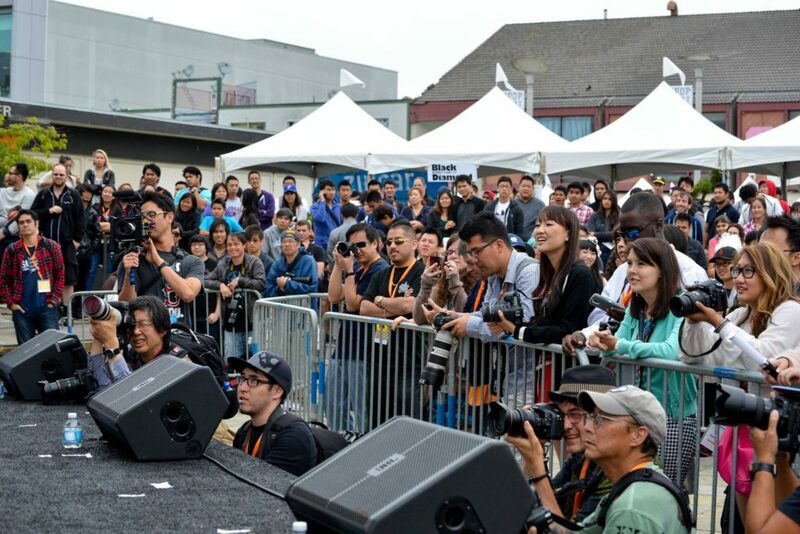 Whether you’ve been a photographer for a few months or many years, the Northern California Cherry Blossom Festival invites you to photograph or vlog the event! The Festival is entirely volunteer-run, which includes our photographers. We would deeply appreciate it if you would join our team. We sincerely want you to come and enjoy your experience at this rich cultural festival. In the spirit of making this enjoyable for all, we have put together a few quick guidelines for shooting the event. Always be polite. This is a no brainer. We want everyone to feel welcome at the Festival and, because you are acting as an ambassador, you support that goal. Be ready to give directions and information. People will identify the credentials that you are given and stop you from time to time for assistance. Please try and assist them as best you can or direct them to another nearby volunteer, identifiable by a Festival t-shirt. Don’t obstruct views. If it’s really the only other option to get a shot, just take a few shots and move along to another angle or location. Don’t photograph guests, staff or performers that indicate they do not want their photo taken. Again, we want everybody to feel welcome and be comfortable at the Festival. Use your creative eye. Please do your best to capture the shots you are assigned from your short list. But feel free to shoot whatever catches your eye in addition to your list! Be careful in prohibited areas. You will be granted access to areas prohibited by the general public. Always be extra careful in these areas as they often have cords, equipment, and other obstacles. Have fun! We look forward to seeing what moments you capture. Ready to share your photographic experience? Join the PR/Marketing & Social Media team as a volunteer photographer!